Oh yes, it reads like a folktale but the issue is very much about the present day. 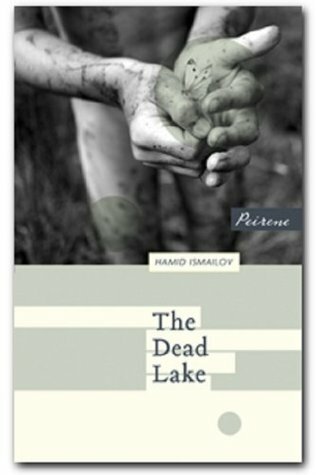 This was my favourite of last year’s Peirene titles, and I’m very pleased to see it on the IFFP longlist. I agree, it’s a moving and thought-provoking story. I loved the evocative use of language and imagery, the contrast between the bleakness and beauty. I have been meaning to read their books for so long (not that length is an excuse!). I am really keen to read more. This was lovely and sad. I’m not sure whether Dyane follows you so I emailed her this, I have a feeling she will be interested. Now I’m yo ho hoing off to see if it’s available to me. Dyane was the first “like”. I can get electronic editions of their books for just a few dollars, can say for SA though. This is an indie publisher. Jaaa the rand is even weaker against the dollar now. Against our dollar? That’s some feat, Canada is falling with oil prices. All hard currency and a lot of soft too. It’s tragic. I really enjoyed this one and hope to see it on the shortlist – a very moving story and an effective translation. I agree, a haunting and wonderful tale. I’d also be happy to see this on the short list. Peirene really are a wonderful publisher (though, one last time, my favourite last year was The Blue Room). Dean Reed’s Wikipedia page must be getting some extra traffic these days thanks to this novel! 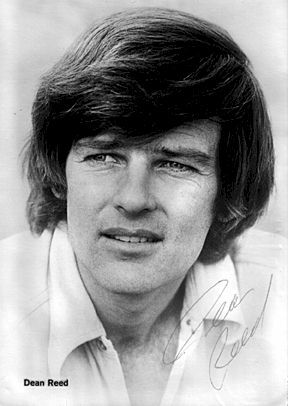 Poor Dean Reed. I had never heard of him but what a fascinating story. I love it when a book introduces you to a new personality or piece of history (in this case Soviet bloc pop culture). I’ve seen a couple of reviews of this, and it does sound particularly good. It sounds like it has a neat usage of folk-tale atmosphere coupled to very modern issues. This my first Peirene Press book though I have been meaning to pick one up for a long time. Being old enough to remember the end of the Cold War era it does offer another important view of life behind the Iron Curtain.